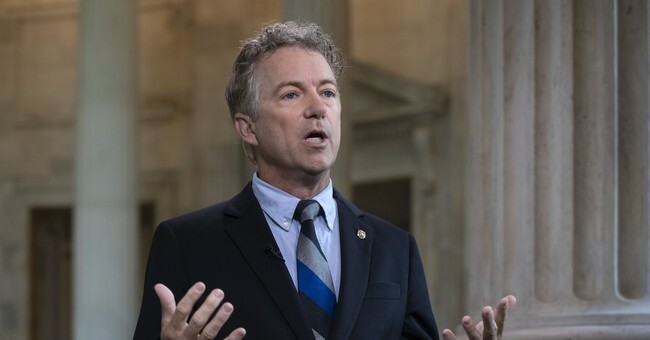 Kentucky Sen. Rand Paul (R) decided to use "Festivus" as a means of jokingly opening up about Congress, a wide range of political issues and even some of his colleagues. And who better to start with than our "Native American" Sen. Elizabeth Warren? He also talked about his relationship with President Donald Trump. And the passage of bi-partisan criminal justice reform. Then there's the issue of the border wall. And who could get foreign policy? And even some of President Trump's picks. I’m going to close today by talking about something good that has happened. In fact, some could even say it has its beginnings right here on #Festivus twitter a few years ago. I poked a little fun at my friend Corey Booker. All in all, Rand provided some rather epic insight into Washington, D.C. Talk about a Christmas miracle.